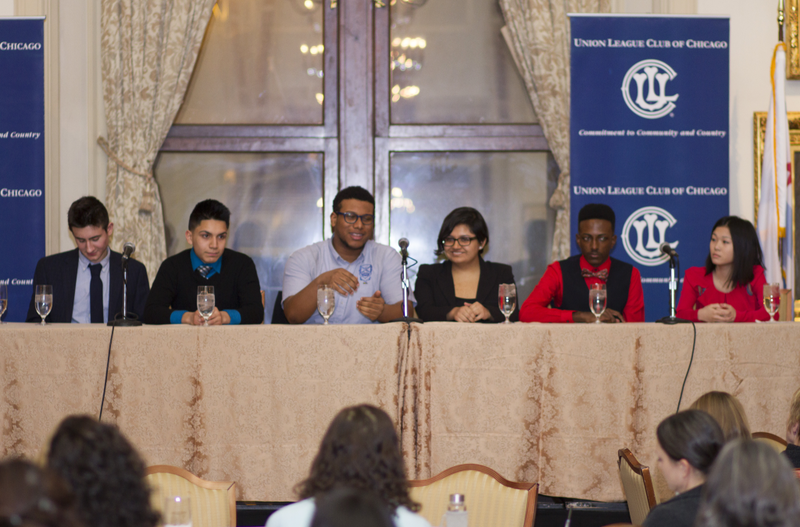 Last Thursday evening at the Union League Club in downtown Chicago, a panel of six Chicago Public Schools students provided perspectives on Chicago’s education crisis before an audience of over fifty captivated educators, students and parents. Opening the event, the choir from Lindblom Math and Science Academy performed “When We Gonna Change,” a moving original composition with lyrics that reflected on how Chicago’s leaders seem to make decisions regarding schools without taking student opinions into consideration. Following their performance, moderator Becky Vevea, an education reporter for WBEZ, introduced the panel of CPS seniors from schools across the city. The panelists came from Whitney Young High School on the Near West Side, Wendell Phillips Academy in Bronzeville, Rauner College Prep in West Town, Amundsen High School in Ravenswood, Foreman High School in Belmont-Cragin, and Jones College Prep in downtown Chicago. The students began by commenting on the issues their respective schools are facing. Some students remarked on a lack of elective offerings, others on the fights that break out at school, the cuts to special education and college counseling, and the favoring of the advanced placement track over other students. But the most common thread among their responses was the unequal dispersion of resources between CPS schools. Similarly, Foreman High School, currently on “intensive support” from the district, is struggling to reach Level 1 status because of thinning resources. On the other hand, a Jones College Prep student commented that her school has not been significantly affected by the budget cuts. “You know we haven’t really had any issues that need addressing with regard to budget cuts,” she said matter-of-factly, citing the recent construction of a new school building. The students’ commentary shed light on what the CPS budget cuts look like to students on a school-to-school basis. Following-up on the students’ descriptions of unequal resourcing for CPS schools, Vevea asked the students what they would say if they could gather Mayor Rahm Emanuel, Governor Bruce Rauner, CPS CEO Forrest Claypool and Chicago Teachers Union president Karen Lewis all in one room to talk about the challenges facing CPS. The Foreman student’s advice focused more specifically on remedying unequal resourcing. After hearing students’ advice for Chicago’s elite actors, Vevea introduced a pair of CPS teachers representing the education policy advocacy group Teach Plus, who outlined a concrete plan for repairing the CPS budget crisis. In their proposition, they suggested that Chicago should declare a TIF surplus of $400 million and give fifty-three percent of the surplus to CPS (resolving nearly half of the $480 million CPS budget gap) and that Illinois should increase its individual income tax by a half percent and divide the resulting new revenue between the Chicago Teacher’s Pension Fund and the Teacher’s Retirement Fund. When the focus shifted back to the student panelists for a question and answer session, the students, many of whom aim to be policy makers, lawyers and aldermen later in life, spoke to the importance of civic engagement for high school students. They highlighted a range of ways for high school students to become civically involved: spreading information about social justice issues to cure peer apathy and ignorance, registering peers to vote, joining the Chicago Student Union, staging protests and boycotts, and establishing letter-writing campaigns. Excellent article highlighting the lopsided distribution of resources that mirrors what is happening in society at large. Kudos to these young students to bring their voices to bring light to such a critical issue and hold the adults accountable. Thanks for covering this event! 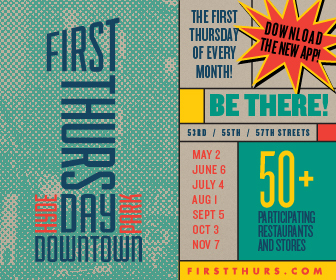 I went to this event. They had a great representation of succeeding students who were able to articulate the impact of being in CPS. I definitely feel these students should be given an opportunity to speak to the higher ups as representatives for their schools. Maybe all the figureheads will learn to step back, be reasonable and compromise to get done what needs to be done for our students.